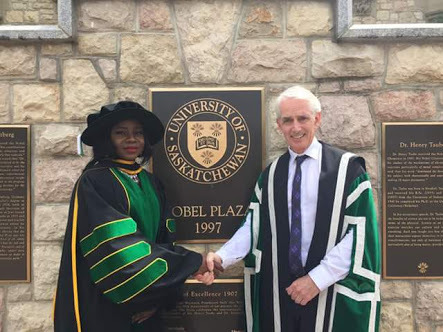 My name is Dr. Adeola D. Olubamiji and I’m the first black person to have received a PhD in Biomedical Engineering from the University of Saskatchewan, Saskatoon, Canada (5th of June, 2017). My Bachelors degree was in Physics from OOU. Because I had a 2.1, it opened the door for me to proceed to Finland for a Masters Degree in Biomedical Engineering. During this masters degree, I worked part-time as a cleaner and did this after my Masters as well. Out of determination, I applied to over 100 schools for my PhD and finally got a full 3 year scholarship (later extended to 4 years scholarship) at University of Saskatchewan, Canada to pursue a PhD in Biomedical Engineering. 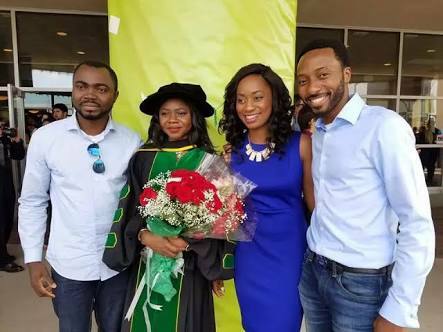 While in that PhD program, I worked part-time as a makeup artist and seller at Sephora Canada, I braided hair and weaves for students, did tutoring jobs and teaching assistant jobs to make extra money. This journey wasn’t easy but it’s now paying off. I currently work as a Lead Metallurgical / Material Engineer in an Aerospace Manufacturing Company here in Canada.